As summer begins to fade away into fall, I’ve been amping up my sweat and activity to keep my body feeling energized, revitalized, and my mind clear; I always find that a good sweat, balanced with even better nutrition and hydration is the best way to boost my mood and energy, even as the skies get darker a little earlier. 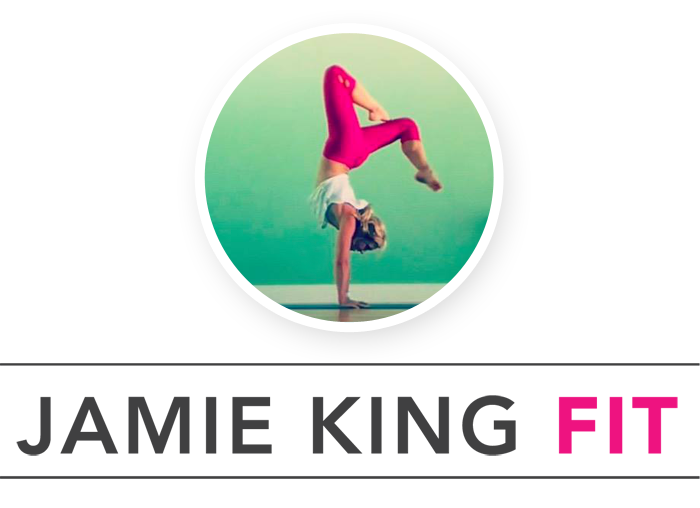 To get my sweat on, I’ve been adding this 15 minute HIIT & Flow workout into my regular weekly routine. It’s a well-rounded, fast and sweaty workout that leaves my whole body feeling stronger in less than 15 minutes. 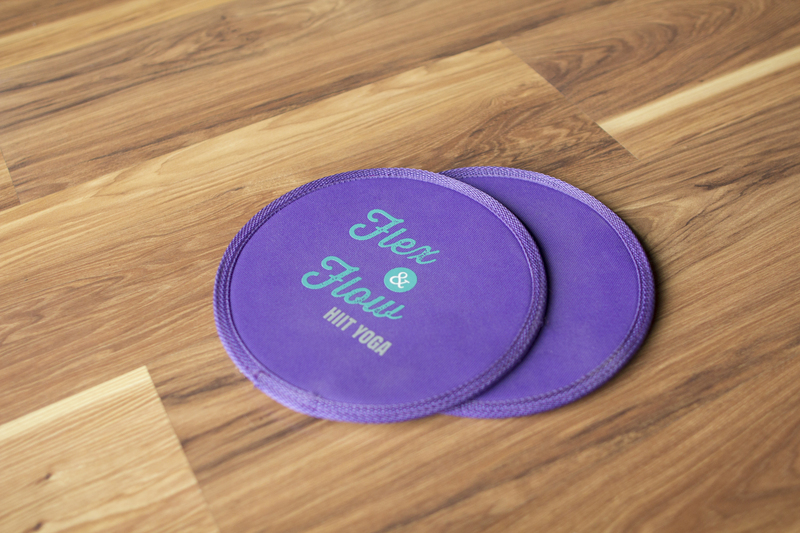 And the best part is…all you need is yourself and some HIIT & Flow gliders (paper plates will also work!). Try this 15 minute at home HIIT & Flow workout! Join the Gerolsteiner Sparkling Detox Challenge! But as we all know, sweat is only half the battle; to keep your body and mind feeling good, you also need to amp nutrition and hydration which is why I’m so excited to be joining the Gerolsteiner Sparkling Detox Challenge! I love this detox because it’s a simple way to stay balanced and healthy; it isn’t about deprivation or dieting, instead it’s about making healthy choices – like eating well, exercising, and nourishing your soul. The Gerolsteiner Sparkling Detox Challenge is simple to follow, all you have to do is ditch the sugary, artificial beverages like soda, juices, alcohol, coffee, and tea and swap them with Gerolsteiner Sparkling Mineral Water for 5 days from September 11 to 15, 2017. This is my second year participating and I absolutely LOVE this challenge. Not only is Gerolsteiner Sparkling Mineral Water my go-to healthy beverage, it also provides essential minerals and is free and clear of sugar and unnecessary calories. Plus, as part of the detox, you also get the support of a community of friends in the Sparkling Detox Facebook Group. Join me for the challenge! And make sure you pick up some Gerolsteiner Sparkling Mineral Water. Want to find some in your area? Here’s a helpful store Locator! Stay sweaty (and hydrated!) friends! Disclaimer: I was provided with product from Gerolsteiner because of my partnership with Fit Approach. That said, all opinions, thoughts, and words are my own. I truly appreciate all of the brands that support the Sweat Pink community. All the sweat, all the sparkles. Can’t wait! YESSS. SPARKLING ALLLLLLL DAY, E’RYDAY. This looks like such a good workout! Definitely adding it to my program this week. The change from summer to fall is always hard on my energy, and I’ve noticed that working out helps me out a lot too! The change from summer to fall is always brutal. I always feel less like moving and often need a little push to fit workouts in! I’d like to raise a few points, to give you my own perspective, so to say. This is in order to create meaningful discussion and in no way do I mean to take anything from your great work. There’s a common misconception that training, even intense training like HIIT, is the best way to approach fat loss. Contrary to popular belief, whether we gain or lose weight depends nearly entirely on our caloric intake – a surplus or a deficit, respectively. To put it in simple terms, since calories reign king, it is much easier to skip that cup of rice you were about to eat to fuel your workout than spending time to burn it off while you work out. There is a myriad of benefits to cardio and training, but when it comes to weight loss/gain, fixing your diet should be your first priority. That being said, your proposed workout is an EXCELLENT way to get active, work on your conditioning and burn some calories in a fun and original way.